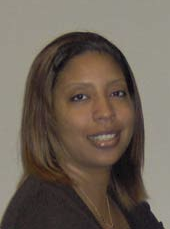 Rakesia S. Williams is Executive Vice President and Manager of Tax2go, LLC and a Registered Tax Return Preparer with the Internal Revenue Service. Rakesia has been preparing federal and state tax returns since 2007. Rakesia strives to provide hands-on, personal service to help small businesses and individuals make sound business decisions. She is always accessible and readily available to assist when you need it most. Rakesia is working toward her BBA degree in General Business with a minor in Finance at Amberton University in Garland, Texas. Rakesia keeps up with the continual changes and her education is on-going and she takes many courses each year to stay on top of the latest tax trends impacting tax preparers. Additionally, she's read many daily publications related to tax law changes and strategies. Rakesia has also been a certified Notary Public since 2002. Rakesia is married to Charles L. Williams, Owner of Tax2Go, LLC. They have 4 beautiful children: SaintCharles, Veronica, Brianna, and Dakota. They reside in Duncanville, Texas. You may contact me regarding questions about your taxes or bookkeeping at (972) 880-1111. You may set up an appointment to come in and discuss your individual or business needs.